Aliwan 2011: A visual treat! With all different cultures, traditions, people and tribes, festivals, music, and dances Aliwan 2011 has proven to be still the best visual and cultural treat one can ever experience in the heart of Manila every summer. 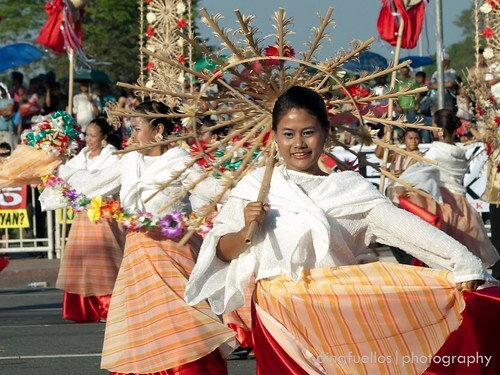 This pageantry of culture and festivals is truly an amazing confluence of the multi-ethnic Filipino. The participants wore their best costumes and their smiles, entertained with their dances and music, and shared to every spectator a slice of their culture and tradition. However, more than this pageantry, it is but a prelude and a glimpse of what these people from different parts of the country can offer back home--during their festivals or even during their daily lives. I have not been to many festivals around the country, myself. This is a fitting reminder for me to learn more about other Filipino cultures, and perhaps, travel more around the Philippines and experience different festivals. Truly, we Filipinos should be proud of our ethnicity. Seeing them parade on the streets, and entertaining people like us, makes me proud I am from the Philippines with colorful fiestas, unique cultures and lasting traditions. To see more of the Aliwan Fiesta 2011, play this slideshow or visit my Aliwan Fiesta 2011 stream in Flickr.